For the majority of our clients much of the BMW ownership experience can be assisted with an efficient website and online communication. We hope you find shopAutobahnBMW.com an asset. We know the importance of an accurate online BMW inventory and allocate the proper resources to provide the quickest, easiest and best online shopping in Texas. For Your Shopping Convenience, Autobahn BMW Fort Worth offers 16 high-resolution REAL photos of every new and pre-owned BMW in stock and full details on standard and optional equipment for each of our BMWs. We offer precise inventory and accurate descriptions. Dennis and Brian keep our online inventory 100% accurate by updating it several times a day. Each BMW is described to a tee and has 16 real photos and complete details including pricing and options. 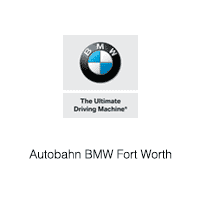 Excellent CSI, knowledge and customer service are part of the Autobahn BMW Fort Worth experience. Dennis and Brian earn top marks from BMW month after month and year after year and always stay up to date with the latest training on the newest BMWs and newest BMW technologies. Our website offers efficiency online, over the phone and in person. Our BMW sales representatives listen well and do everything possible to make sure your unique needs are met from start to finish with your car purchase and throughout your BMW ownership experience. ShopAutobahnBMW.com saves you time whether you are down the street, in the next city or across the nation. We offer all the tools for an excellent purchase and ownership experience.